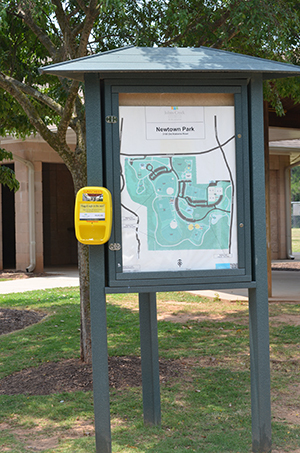 As a part of Melanoma Awareness Month, the City of Gainesville Parks, Recreation and Cultural Affairs Department (PRCA), in partnership with IMPACT Melanoma (IMPACT) (formerly Melanoma Foundation of New England), is installing Bright Guard sunscreen dispensers (for public use) at 50 locations this summer, including parks, pools, athletic fields, trails and more. “We are pleased to offer this service throughout our parks and facilities. Our staff are often asked by parents if we have sunscreen available. Having access to skin protection we hope will result in having a long term impact on reducing skin cancer,” says Steve Phillips, director of PRCA. An unveiling ceremony will take place at 3 p.m. Wednesday, May 17 at the Bo Diddley Plaza (111 E. University Ave.). There will be demonstrations of the dispensers and sun safety information will be distributed. 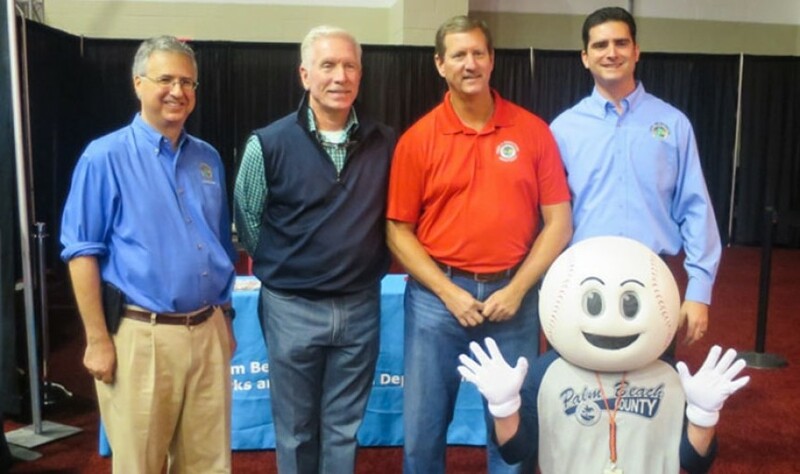 Representatives from the Florida Department of Health in Alachua County and IMPACT will help educate the public about the dangers of sun exposure and skin cancer. Thanks to the support of our sponsors, Florida Skin Cancer & Dermatologists Specialists PA and an anonymous skin protection advocate, Gainesville residents and visitors will have access to free sunscreen at 50 designated locations within Gainesville. With partners and sponsors, the City of Gainesville has offset 70 percent of the cost, with the remaining 30 percent being covered by Wild Spaces & Public Places funds residents voted for last November. The specially-designed dispensers, which are being installed across the country, are part of Practice Safe Skin, a program that offers sunscreen as an effective, preventive measure to help avoid sun over-exposure year round. Each sunscreen dispenser is equipped with four 1000 mL bags of SPF-30 sport sunscreen, safe for people age six months old and up. Ingredients are printed on the machines upon installation. A recent study from the University of Colorado cited this program as an influencing force behind the decrease in melanoma rates in the northeast. Melanoma is rising faster than any other cancer, with one person every 50 minutes dying from the disease. Studies show that with daily sunscreen protection, the risk of melanoma is preventable. Details of the study may be viewed at http://mfne.org/mfne-cited-study-conducted-university-colorado/.